Although not ’67 Beetle specific, this video has some interesting points. One makes me laugh, which is the comment about getting the “best parts”. This Beetle clearly has cheap aftermarket replacement bumpers. It really amazes me so many cars are marketed as high end restorations when they clearly are not. I digress. 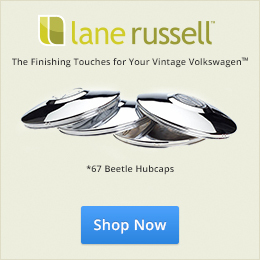 When buying a Volkswagen Beetle there are a few things you will want to check before the purchase. In this buyers guide Rob Sass addresses some important things you should know about owning a beetle things such as checking for rust and the availability of replacement parts. Next: Next post: What Makes a Vintage Volkswagen?